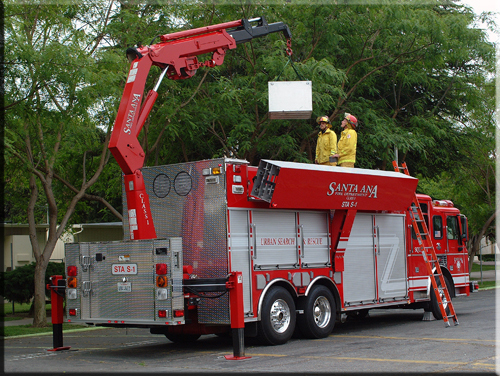 get the hot spot / blades set….that firecrane with the head swap with GDO hot spot is awesome. well worth the cost…i also bought the other three pack…but the legends groove repaint was a loose jiggly mess so i just tossed him. Agreed – Hot Spot's deco looks AWESOME in person, and for now I'm using him as Classics Fire Convoy. I don't even mind the crane! These sets are now down in the $25 range each for anyone still on the fence. I just ordered mine! one suggestion …..if you have Transformers Prime beast hunter smokescreen….take the rubber armor and net off smokescreen and put it onto streetwise (the cop car)….the colors suit him perfectly and it makes him look more Law enforcement ….better than that big gun stuck in the hole on the roof by itself anyway. honestly….This red rendition of Hot Spot is the best one I have seen in a while….the red is a realistic redeco for an emergency response vehicle….And with the GDO Hot spot head transplanted onto it ….He looks pretty sweet. It still looks like a lazy repaint to me. I picked up a set and have Streetsmart, First Aid, Groove, and GDO Hot Spot displaed with Universe Blades. I put the set Blades with my Movieverse stuff and will use this firetruck as Hosehead. So after whining about how ridiculous it is that Hot Spot has a crane, I have since learned that there are indeed fire trucks with cranes. Or more accurately "heavy rescue trucks" in service of the fire department. I know it shouldn't make a difference, but it makes me feel slightly more accepting of this set. Well, maybe not exactly accurate (since these heavy rescue vehicles don't seem to have pump apparatus like the Inferno mold does) but at least it's not completely without precedent. Not sure why it's so important to me to somehow mentally justify this clearly ill-planned set. Inferno is a pump fire truck. There are different kinds of fire trucks. Yup, which is why this figure still has problems. * It still has the pump detailing on the side. If they were going to go with a crane attachment, I wish they had just used the rest of the Grapple mold as well, including the zig-zaggy beam side panels to replace the pumps. At least then he would be a full-on crane. As it is he's this weird mishmash that can't even be satisfyingly repurposed. I'd be curious to know what the decision-making process was on this whole set. *Incidentally, it's also why I never liked the idea of putting a ladder on the Classics Inferno mold… it might be G1-ish, but it doesn't really fit the type of truck. I've seen someone repaint Hot Spot's head and add a visor, and repurpose him as Hosehead. If that helps some justification. Yeah, that works as well as anything else! That is so not worth the $80.00.